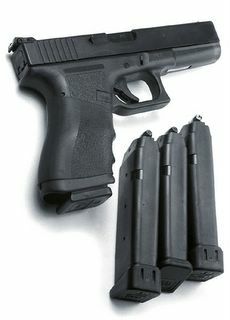 45-Caliber Justice: Glock 21 for $590. Or my favorite a Glock 21. 26oz. 45 caliber. Plastic!